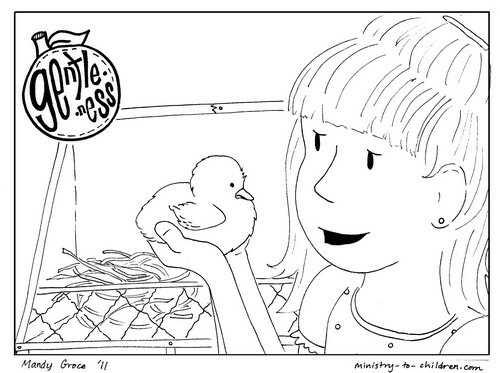 Directions: To download a printable version of this Gentleness coloring page, simply click on the preview image above. We’ve also provided a jpeg image file for anyone who needs to make edits before using this resource. You can also download our Bible lesson on Gentleness for kids. 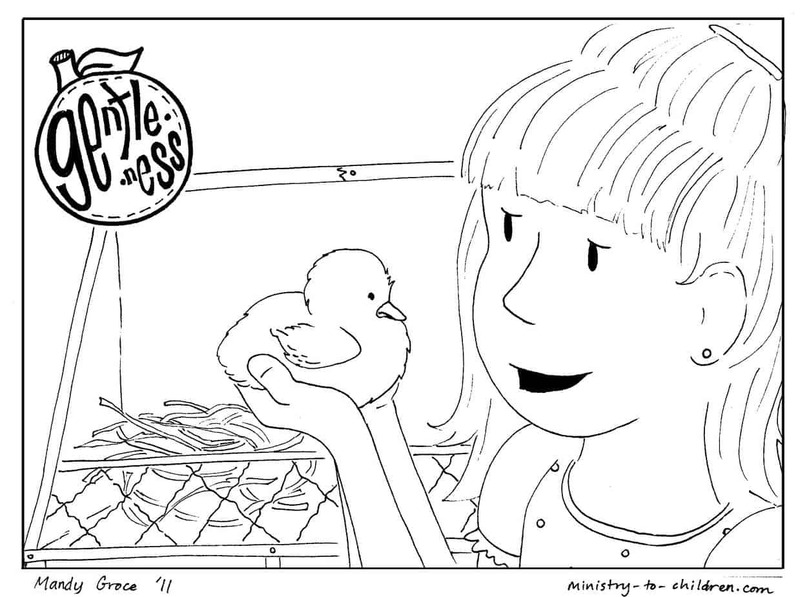 This is part of our free coloring book based on the Fruit of the Spirit. Don’t miss all our free lessons based on this passage. Each illustration in the series highlights a contemporary example of the specific character trait in a child’s life. This is an excellent tool to talk about spiritual growth and Gospel character. They could be use alongside a Fruit of the Spirit Sunday School lesson, or simply at home with your own children. We’re excited to provide this original artwork free to use in your ministry, home, or school. Please leave a comment below to encourage Mandy as she uses her artistic gifts for the Lord’s work. Be sure to browse all our Bible Coloring pages for Kids. Tony Kummer (Editor) reviewed & updated this page on : August 27, 2012 at 7:29 pm. All our content is peer reviewed by our readers, simply leave a comment on any post suggest an update.